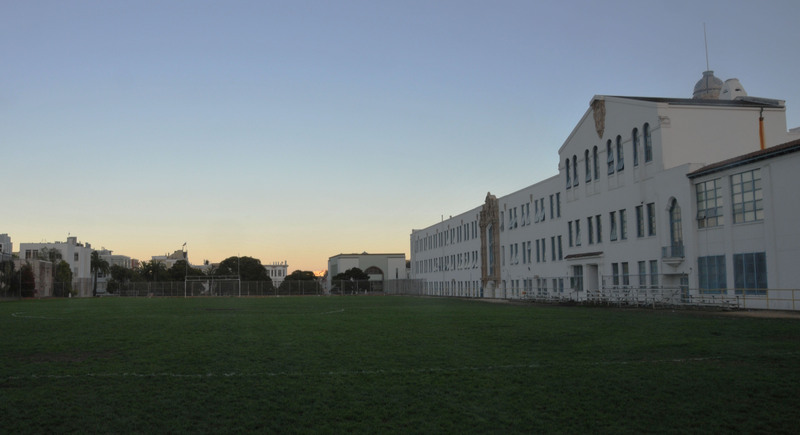 Mission High seniors mobilize support for undocumented students. Photo by Alejandro B Rosas. Angel scanned the group of high school seniors sitting before him. Unlike speakers at most school assemblies, he didn’t have to shush a chattering crowd or engage a weary one. Students already looked expectantly toward him, paying rapt attention. Angel, who works for the nonprofit organization Educators for Fair Consideration, teamed up with students from Mission High at the SF Promise College and Career Expo on Oct. 12. Together they led an in-depth workshop for seniors in the San Francisco Unified School District, where they discussed financial aid opportunities for undocumented students, the Deferred Action for Childhood Arrivals (DACA) program and the DREAM Act. The Mission High students, members of the club Awaken Dreamers, stepped forward and shared their stories. Ruiz and other seniors at Mission High formed Awaken Dreamers this fall to support undocumented students and provide them with financial aid options for college. Just months after its inception, it “already has a ton of supporters and interest,” said a club member who declined to give a name for fear of reprisal. Through fundraisers — including car washes, garage sales and sales of “Support the DREAM Act” wristbands — the club plans to award a full scholarship to an undocumented student at the end of the year. With demonstrated teacher and community support, they are confident they will be able to raise the necessary funds. “We’re trying to influence undocumented students to go to college and not limit themselves just because they don’t have enough money to go,” said Ruiz. With the November presidential elections rapidly approaching, the topic could not be timelier. Heated rhetoric about immigration dominates the political conversation, especially in light of the Obama administration’s recent adoption of DACA. Put into place in June, DACA grants two-year work permits and temporarily suspends deportation for undocumented immigrants who were brought to the United States illegally when under the age of 16. Its passage quickly generated fierce polemics. Supporters of strict immigration enforcement criticized DACA as a form of political amnesty for lawbreakers, while many DREAM Act advocates criticized the policy as not going far enough, arguing that it should ultimately provide undocumented immigrants with a pathway to citizenship and legal permanent residence. Background information about this legislation, which resonates with many San Francisco students, was crucial to include in the Career Expo, said Maureen Carew, director of the group SF Promise. “I wanted to have information for undocumented students, but wanted to make sure that students wouldn’t be put off by having to identify themselves as such,” she said. So Carew linked up with the school district’s Deferred Action liaison, who introduced her to Awaken Dreamers. She attended one of the group’s lunchtime meetings, where students’ commitment to the cause made an impact on her. “I was really impressed with the students and how well they were articulating this issue and the need for it, and that’s why I ended up asking them to participate in the Expo,” she said. Spearheaded by the San Francisco Unified School District and SF Promise, the event offered workshops and information to over 3,000 college-bound seniors at public high schools throughout the city. And for the Mission High students, confidence translates to activism, mobilizing a new base of dedicated supporters.